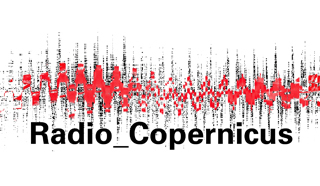 Radio_Copernicus is a mobile, independent, and transborder cultural radio station operated by a German-Polish team. Its programme may include presentations of current art and culture, but also music, lectures, discussions, and symposia on current cultural and political topics. The station broadcasts in two or three languages (German, Polish, English) from Stralsund, Warsaw, Berlin, and Wrocław. Through the change of location the cultural scenes illuminate one another and their local peculiarities become apparent. The station provides the cultural scenes in Polish and German cities and regions with a platform whose contemporary ideas of art and culture coalesce with an innovative view of electronic media. Radio_Copernicus actively participates in music and media festivals and has thereby a public presence. Such a radio station strengthens cultural and artistic diversity as well as the identities of the regions. Moreover it offers the chance to bring together media artists and radio professionals from both countries and to advance an international movement of innovative media views and art trends. Productions will be archived. From April 28th, 2006 on, the audio archive will be accessible for the public as a permanent exhibit at ZKM Karlsruhe. You can find further information on the website of Radio_Copernicus. The project is co-financed by the Adam Mickiewicz Institute from funds provided by the Polish Ministry of Culture in the context of the German-Polish Year 2005/2006.